Click on highlighted items to view a picture of the item. 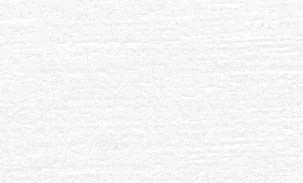 Use your browser's back button return to this page. Modest sized plant with large (6"-7") flowers. The flowers are indescribable, look at the pictures. 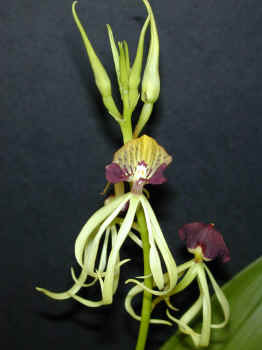 This species of Bulbophyllum comes from Viet Nam & Laos. I grow these under intermediate temperature conditions and moderately bright light. They seem to be easy to grow and flower. Vigorous plants that flower in the summer. Grown in intermediate temps. Widely distributed from the West Indies & Mexico to Columbia. 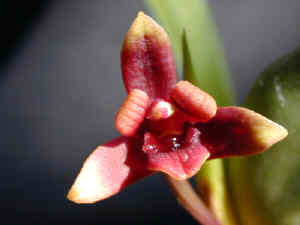 Commonly known as the Cockleshell Orchid or The Black Orchid (due to the very dark lip). It is the national flower of Belize. Blooms throughout most of the year with the heaviest bloom in the late summer thru winter. 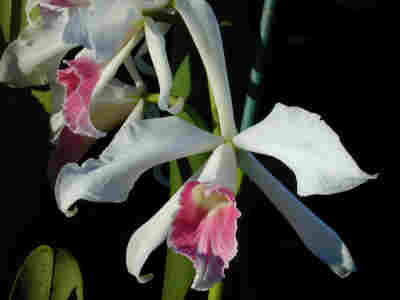 Grows under a variety of conditions, but seems to do best under average Cattleya conditions. 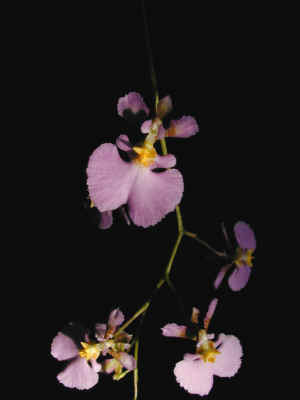 Miniature species that will can quickly grow into a mounted specimen. Found from Mexico to Peru. 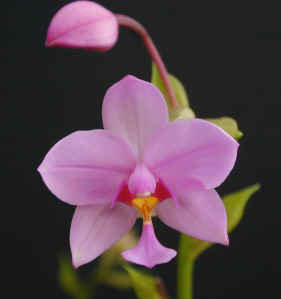 Grow this species under intermediate conditions and Phalaenopsis like light. Numerous 3/4"-1" size flowers. For me these bloom at least twice a year and the flowers last very well. One of my favorites. White petals with salmon (red/pink) lip and slightly fragrant. Easy to grow under varied conditions. 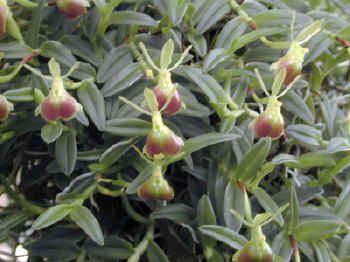 The plants available are big vigorous plants some with multiple growths. Normally these plants are summer bloomers. Vigorous grower and easy to flower. These flower for me in January, February, and March. The plants have lush foliage and are very attractive even when not in bloom. Small Pleurothallis, good grower that thrives in coolish-intermediate temperatures. Spray of orange flowers at various times through out the year. Very attractive pink 1" flowers. Seems to flower throughout the year. thrives under intermediate to warm conditions.